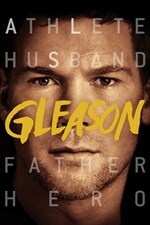 Brief Synopsis – Documentary by and about sports legend Steve Gleason who wanted to create a way to communicate with his young son despite the onset of ALS. My Take on it – This is a documentary that I have been interested in seeing for a while yet never got around to seeing it. I’ve never been a fan of American Football, so before watching this, I had no clue who Steve Gleason was. This is such an amazing documentary because it is able to show the inspirational job that Gleason and his family and friends have accomplished in order to raise both money and awareness for ALS research. They are also able to show the emotional side of the care-giving of the disease because we get to see how he himself sees his disease in different ways as the disease begin to overtake his once athletic body. The story is told in a way that it allows us to get a very personal look at this inspirational man and how he deals with this devastating disease in an truly awe inspiring way that is usually not shown in movies. We also get to see the kind of toll this disease has on people suffering from it and on their families and caregivers both from the physical and mental perspectives. This film emphasizes that this is not an easy disease to deal with, but there are a lot of optimistic points along the way especially when looking and hoping for a cure. So glad I finally saw it because it’s such an inspirational film. Bottom Line – Amazing documentary that shows both the inspirational job that Gleason and his family and friends did in order to raise money for ALS research and awareness but also shows the emotional side of it all as he looks at his life as the disease begins to take over his once athletic body. The way that the story is able to give us such a personal look at this man and this devastating disease is awe inspiring since we get to see things from a perspective that isn’t usually shown. The toll that this disease takes on those suffering from it and by their family and caregivers is quite immense and this film shows how difficult it may be yet we get to see lots of points of optimism along the way. Highly Recommended!